It’s the end of the year, what’s not to celebrate? Round up your friends and relatives and organise a pre-Christmas / end-of-year get together and prepare to party. All you need to do now is decide who is best and who you can trust to make sure that this night is brilliant and that it goes off without a hitch. Your host, Dean, is not only an award-winning commercial radio DJ with his own networked talkback radio program, but he is a qualified I.T. 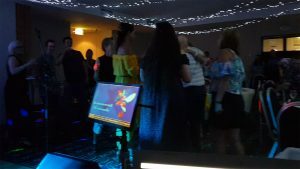 technician and has been hosting karaoke events in Sydney, the Central Coast and Newcastle since the 1990’s. He also performed as a standup comedian for a few years in the 90’s until his I.T. business grew to the point that it demanded his full attention. Now that we have established the credentials of your host, let’s talk about the equipment we use. Our equipment is state of the art and FAR better than that used by most of our competitors. We invest a great deal of money into our equipment and we are constantly adding to it and updating it. Bigger, better speakers, lighting, mixers, lasers, software and computer equipment vastly improve the show and reflect well on everybody, especially the person responsible for arranging the evening. We have detailed information about the equipment we use on this web site if you wish to check out the appropriate pages. The technology we employ almost guarantees that we will have the right music on the night. Something for everybody! 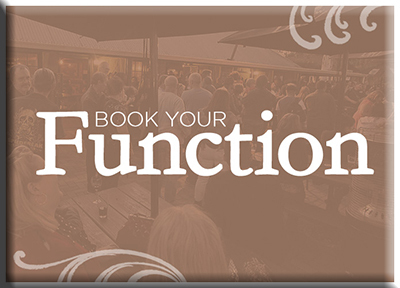 Please use the BOOKINGS page to get a quote or to lock in your end of year celebration. Alternatively, you can call us on 0409 240660 and speak to Dean 7 days a week.